This grand and dramatic stately home, Yorkshire seat of the Howard family for 300 years, is a popular visitor attraction, known for its breathtaking architecture and world renowned art collections. In early 2015, however, Ca stle Howard achieved renown for a different reason, when it was the venue for the wedding reception of Taiwanese pop star Jay Chou (pictured at his wedding in nearby Selby Abbey). Since then many thousands of Chinese visitors have come to follow in the steps of this hugely popular celebrity. 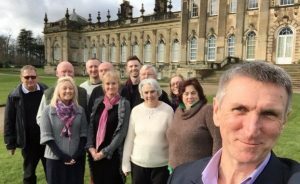 Following this unforeseen and sudden Chinese visitor boom, Capela China has worked closely with Castle Howard to make the most of this opportunity. We have run consulting sessions with the Howard family and senior team and China Welcome training for all the middle management and supervisors. The visitor mix is an interesting and varied one, from whistlestopping tour groups to independent travellers and students bringing along family and friends. 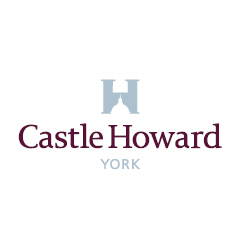 Castle Howard has gone on to take positive steps: a Chinese website; Chinese signage in the restaurant; acceptance of UnionPay cards; Chinese maps and guides . Extensive further initiatives are in the planning, building on the wedding’s legacy to tailor retail, F&B and visitor experience improvements. Staff training in China Welcome is ongoing.